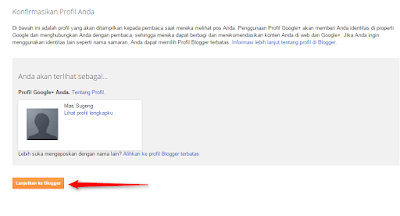 Blogger or blogger.com is a blogging service from Google that is very popular in Indonesia. The reason why it is so popular is because blogging service is free and very easy to use. 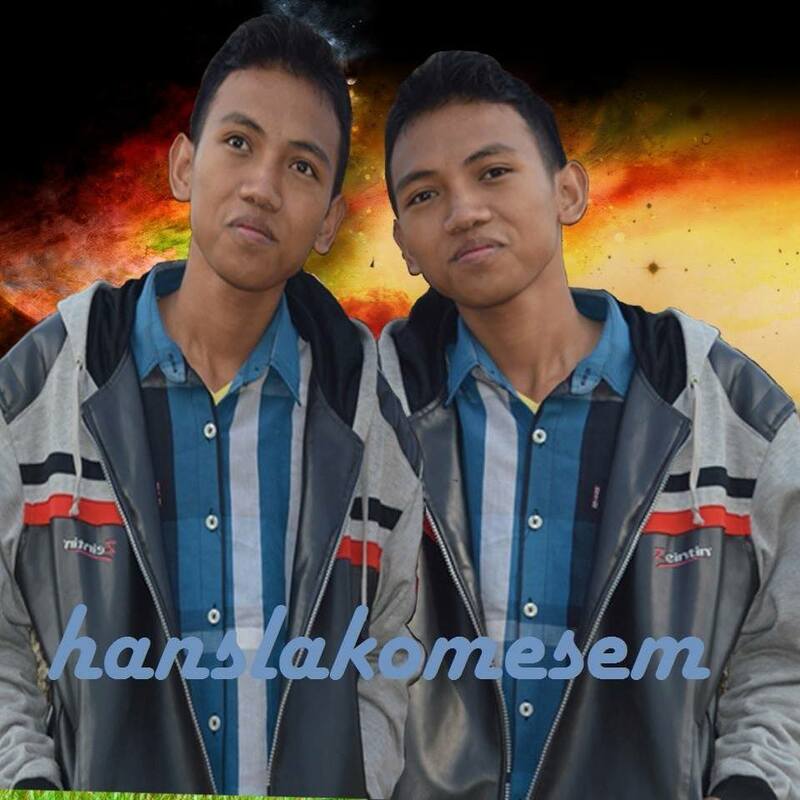 Anyone who caninternetan then it can certainly manage a blog at blogger.com jaya smoothly. 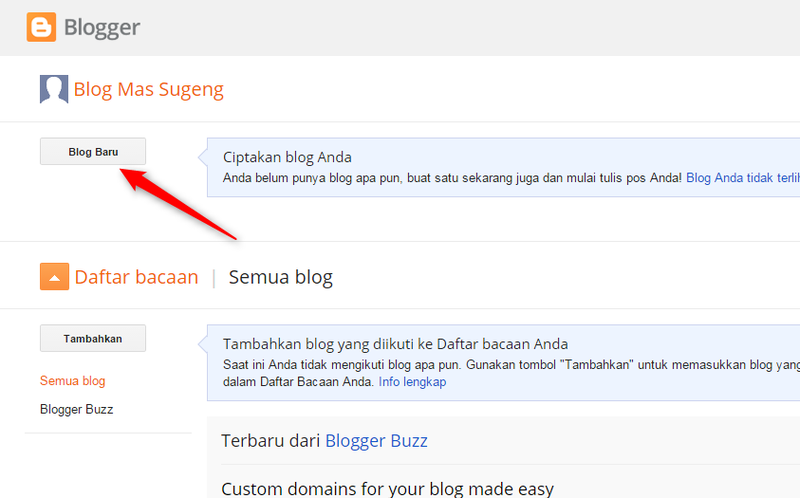 Well here I want to share a tutorial how to create a blog on blogger special for my friend who might be the first time to create a blog and still a bit confused how to make it. # 3. 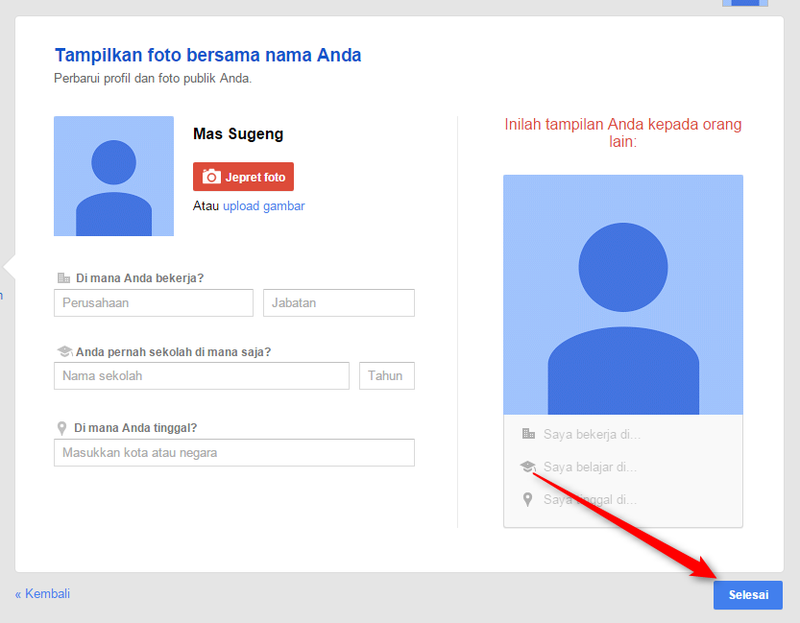 If my friend had not previously made a Google+ profile then click "Buat profil Google+"But if already have a Google+ profile then directly jump to the scarce number 9. # 7. If a pop-up, click "Proceed anyway"
# 9. Click "Continue to Blogger"
# 11. 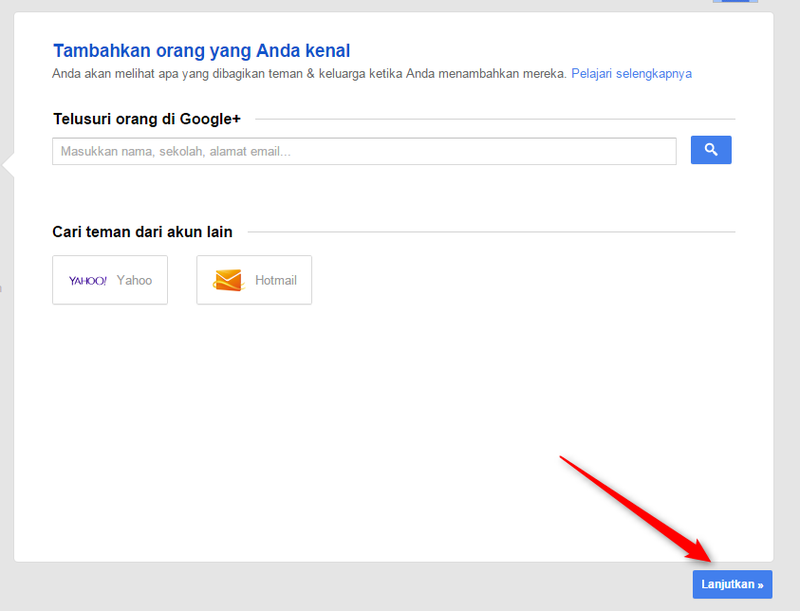 Detail the contents of your blog, then click "Buat blog!" # 12. Yippee ... !! 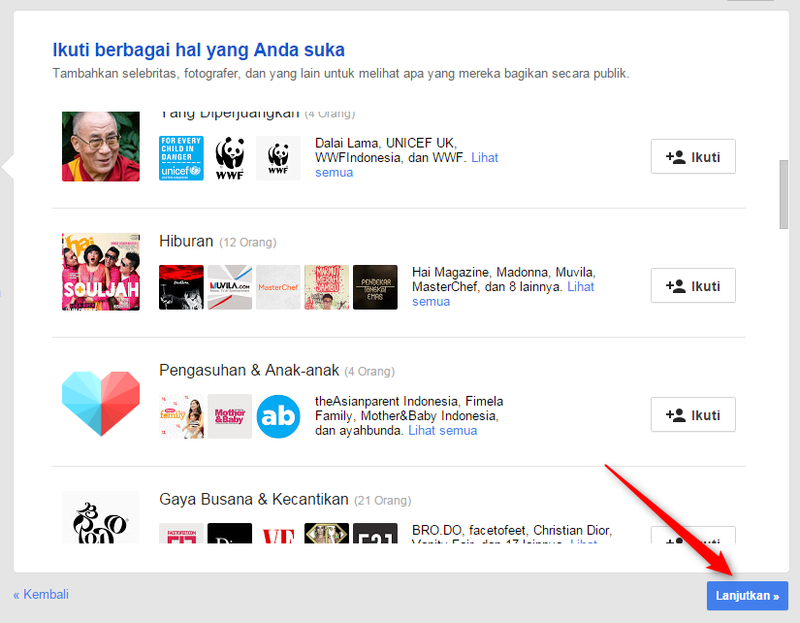 Blog is so ..
After that I had doing, Mas? 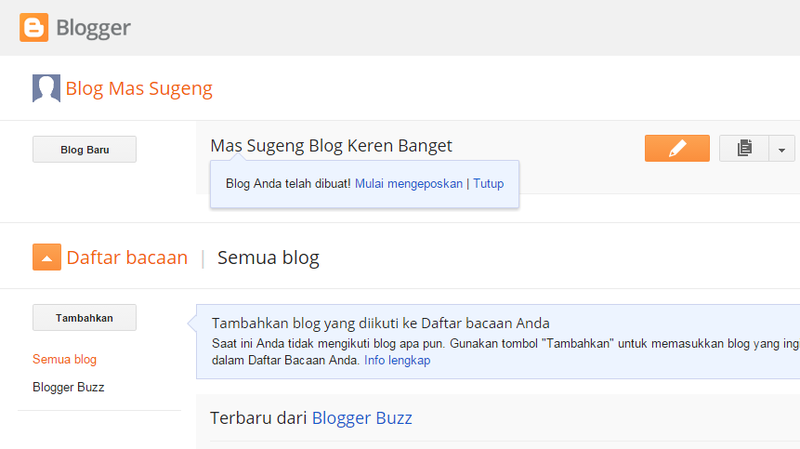 Besides the most important thing is to learn the basic menus in order blogger pal easier to manage. 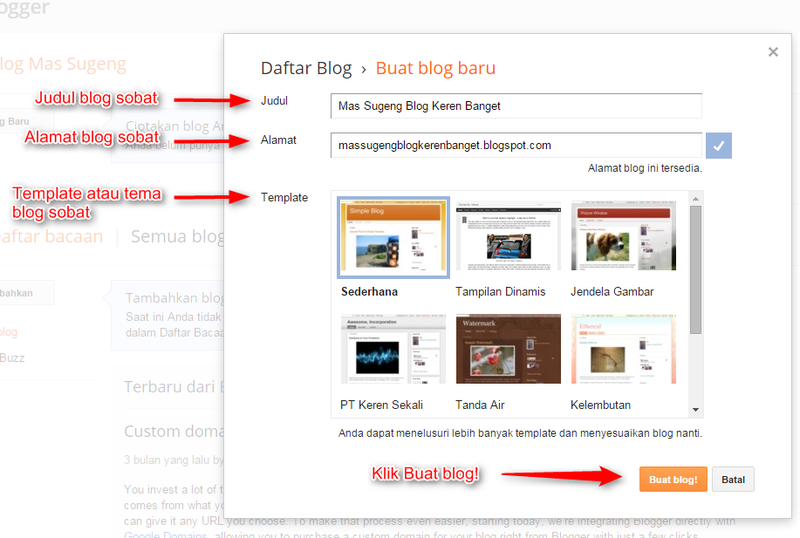 Please read: Understanding the basic menu in blogger. 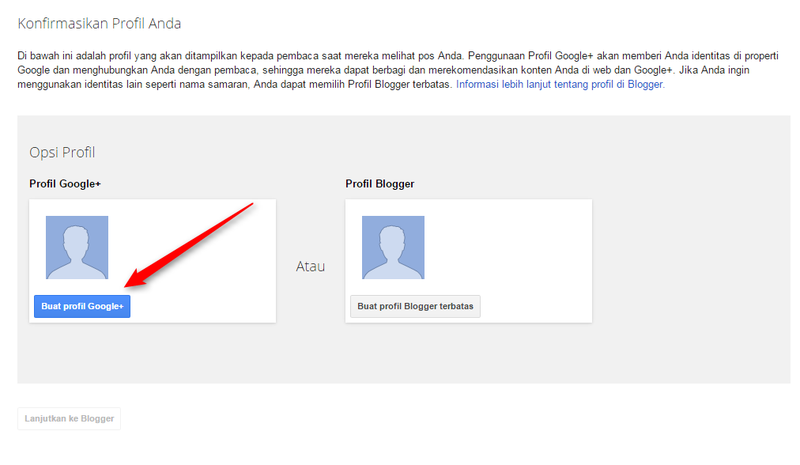 That's roughly a tutorial how to create a blog on blogger not wearing complicated. Hope can provide benefits for all buddy. 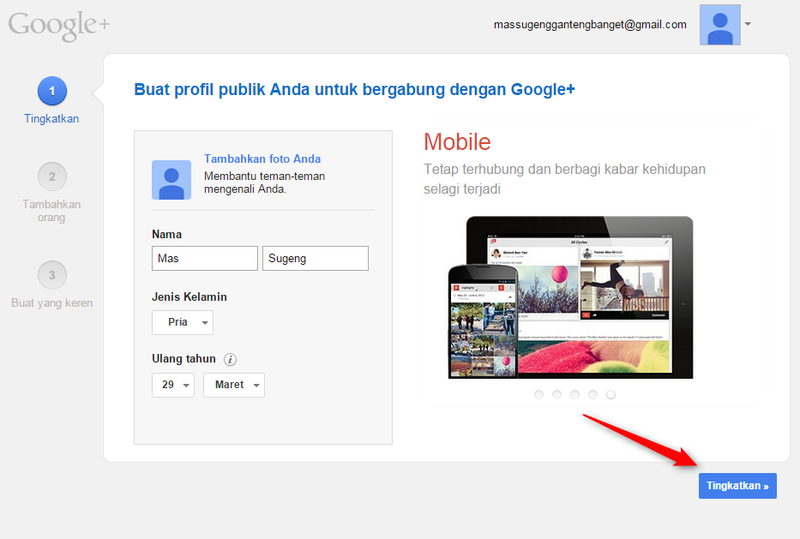 0 Komentar untuk "How to Make a Blog on Blogger Not Use tough"